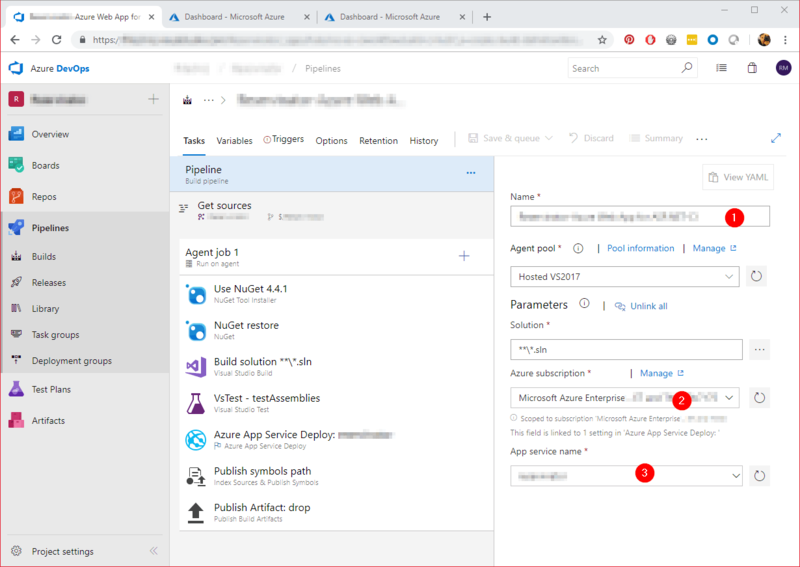 Ever wondered how to configure your Azure DevOps to do CI/CD that is triggered when you check in your Web Projects, well its quite easy as long as you already have set up your projects using Azure DevOps as its source control. 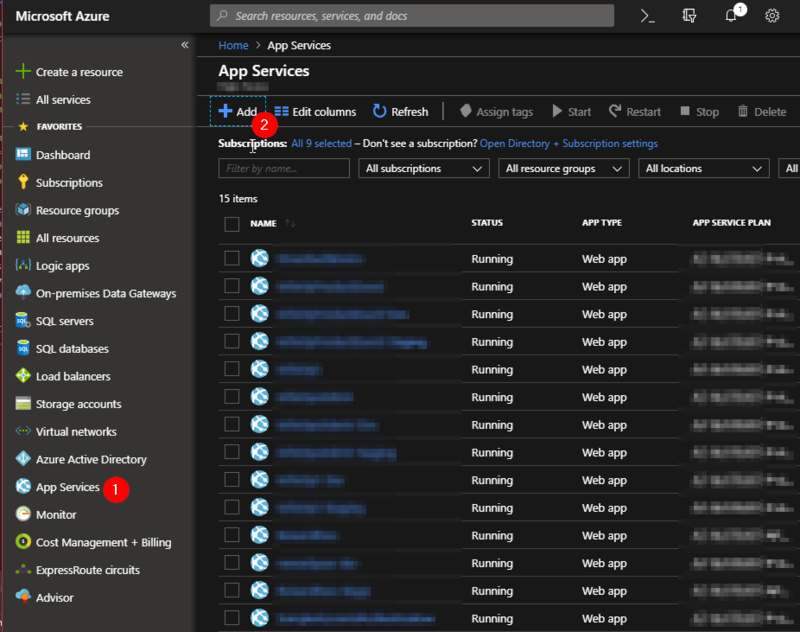 This post is to demo to you in a few steps how this can be achieved, where a project check in invokes a publish to your test, staging or production site. Here is how it goes. 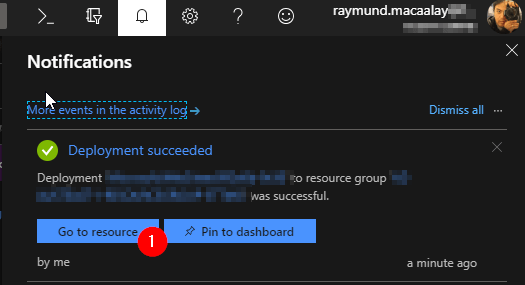 First requirement before you continue is that you have an Azure Tenancy Setup already, if you don’t have one you can set up one for free here. 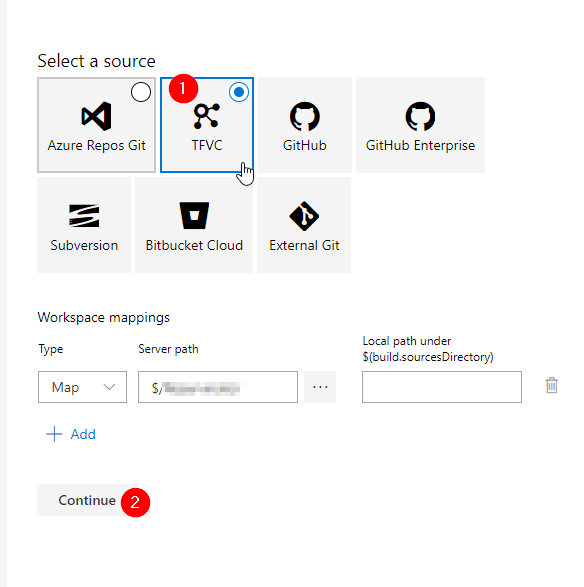 Next requirement is that you have Azure DevOps already set up otherwise you can also get one here for free. Now you have both lets continue. 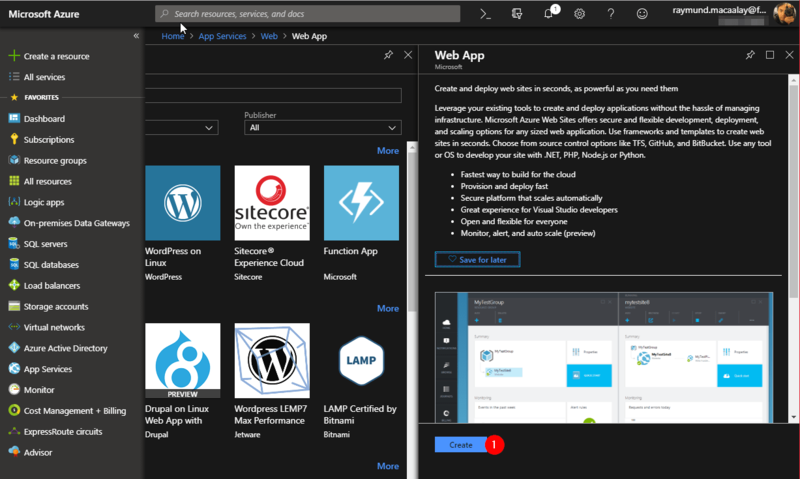 Add Service is where your Website will be published. 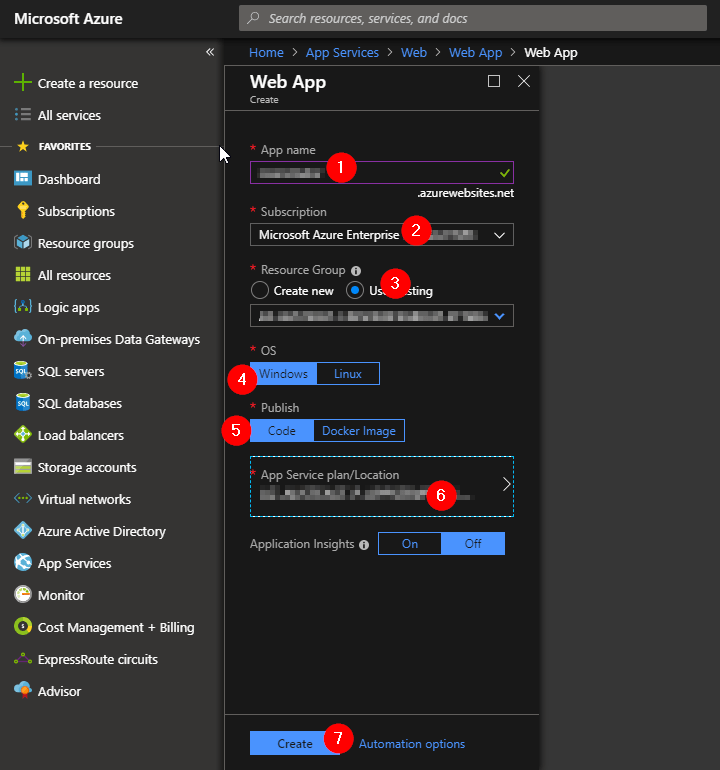 Go to your Azure Portal, select App Services, then click add. 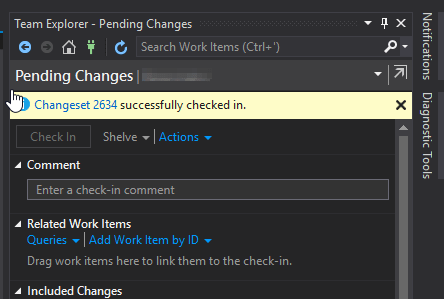 Once you have all the values filled, click Create. 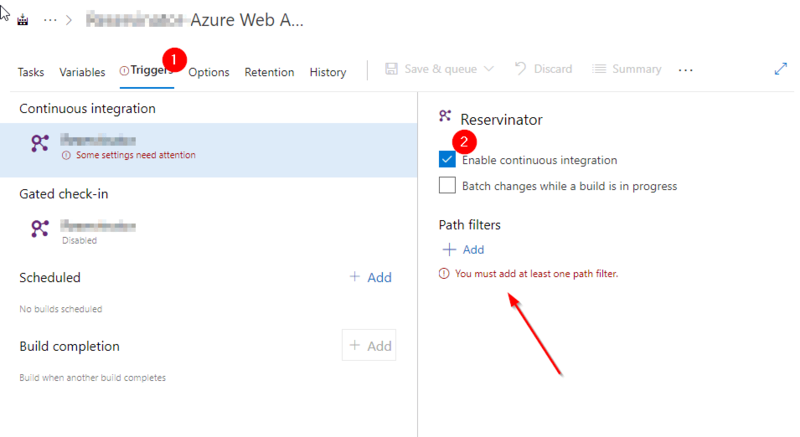 That’s all you need to do in this step, just make sure it is a running error free build. 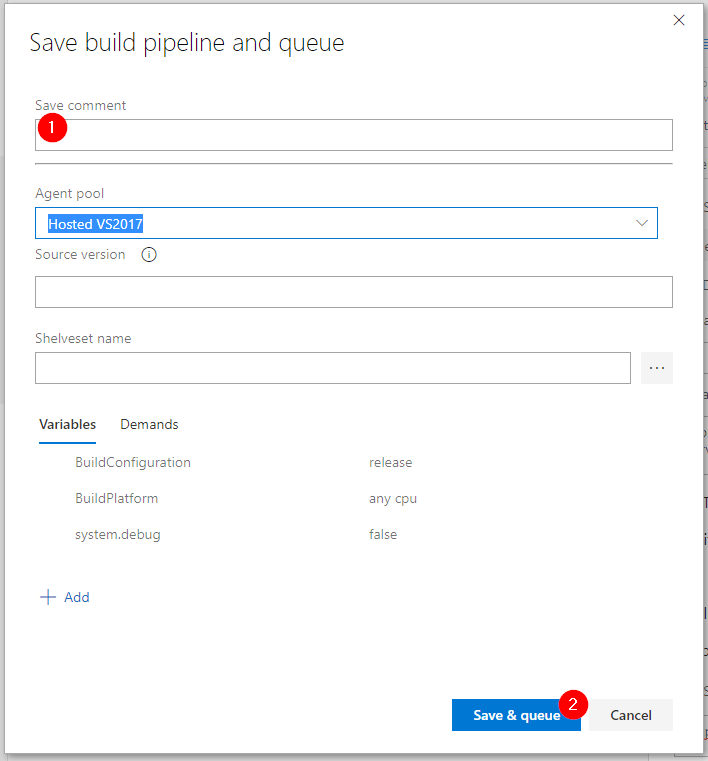 Go to your Azure DevOps, choose Pipeline then Build. 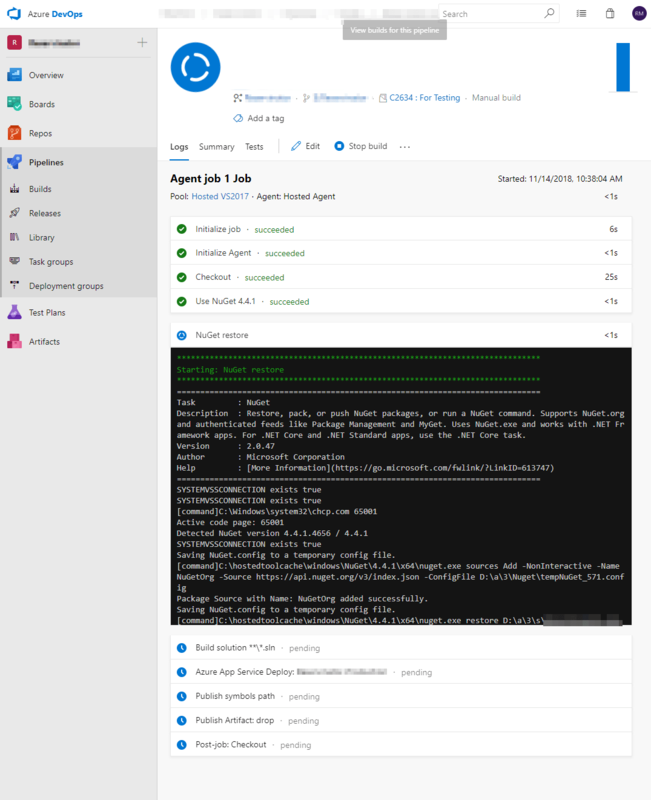 Select TFVC (short for Team Foundation Source Control) as your source then click Continue. 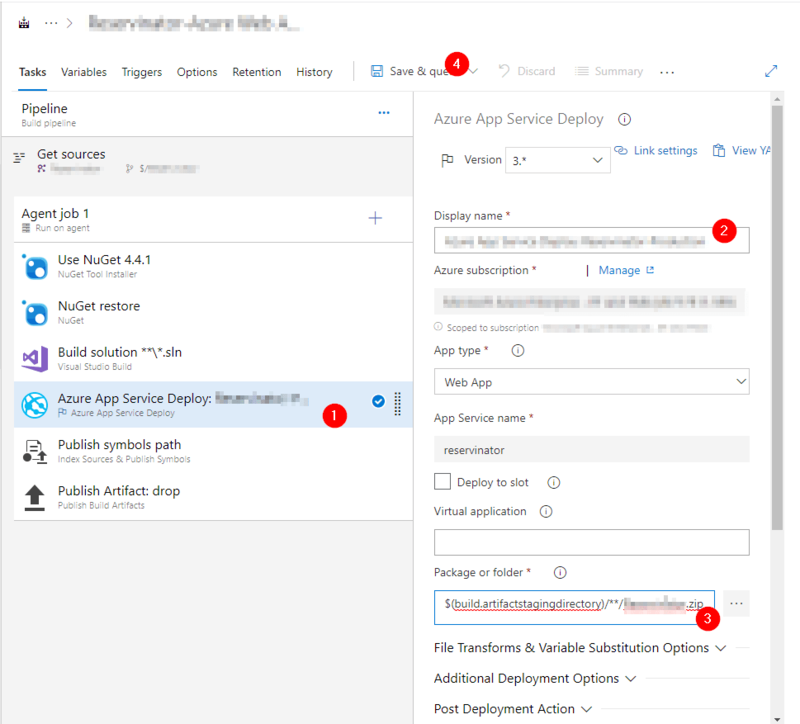 Set Up the Tasks, go to the Task Tab, indicate a name for this CI/CD Task, Choose an Azure Subscription then the App Service name you created on step one above. Take note it should be on the same subscription. 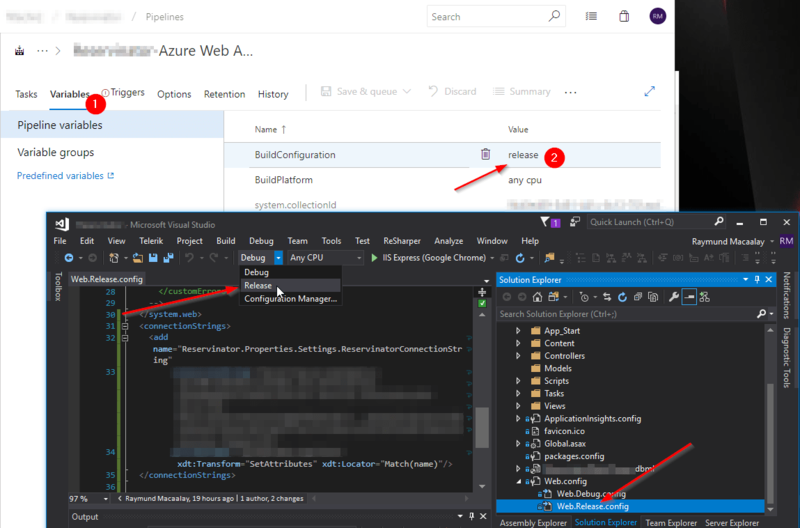 Click the Variables tab, change the BuildConfiugration value to the Build Configuration you want to use (Illustrated Below). 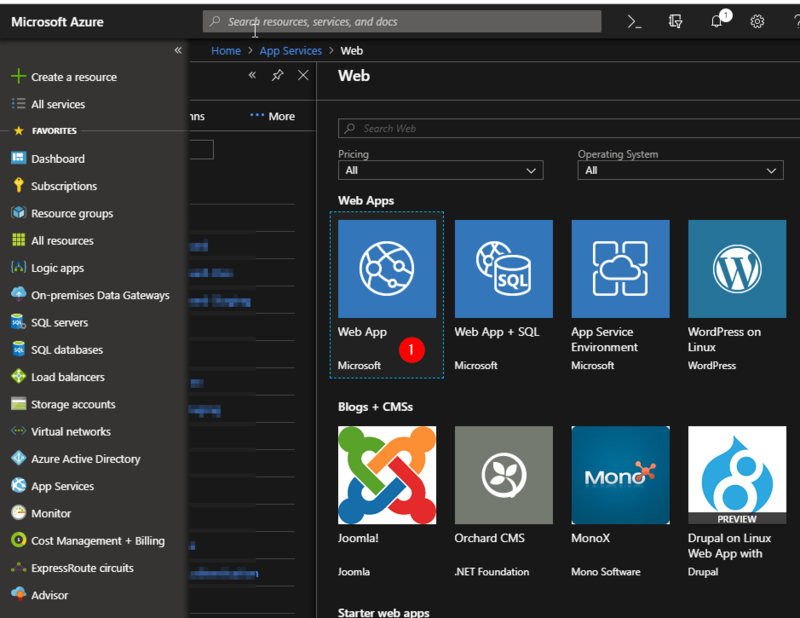 Ensure that the solution has the Web.Config Transform, if you don’t have it here is a guide on how to create one. 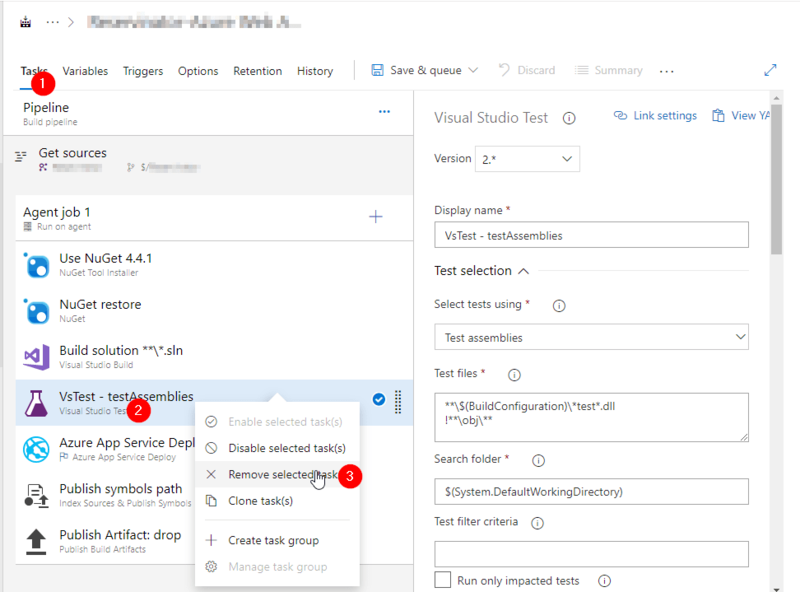 If you don’t use test, remove the VsTest – test Assemblies by going back to Continuous Integration checkboxTab, choose VsTest – test Assemblies, right-click then choose Remove selected tasks. 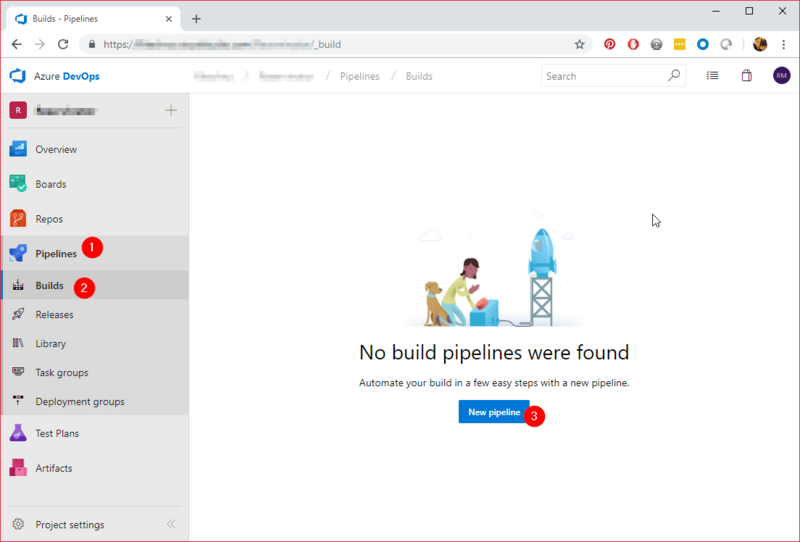 Once done you will see it on your Build Pipeline, you will also see queued jobs after you check in your Project. That simple!